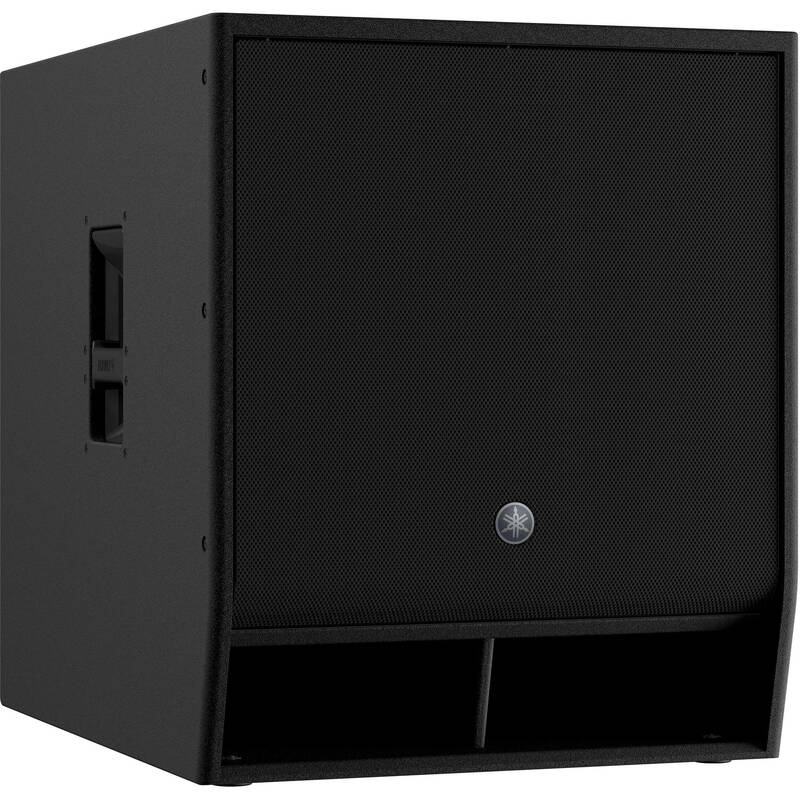 The Yamaha DXS18XLF is a powered subwoofer designed for extending the low frequency of full-range speakers and is well suited for use with any of the DZR-series powered loudspeakers. The 1600W Class-D amplifier powers the 18" woofer to provide a frequency range of 30 to 150 Hz (-10 dB) with a maximum SPL of 136 dB. The on-board D-XSUB LF 96 kHz DSP processor provides total bass management. The Normal mode is ideal for a balanced low-frequency response, while Boost mode provides a tighter and more focused bass with some extra punch. Xtended LF mode drops the low-end frequencies down even further for large bottom end. 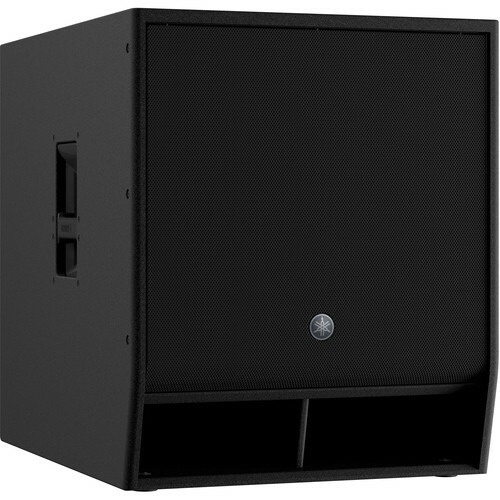 If using two or more subwoofers, the selection of Cardioid mode can effectively reduce stage volume, while increasing low-end output directed at the audience. The rear panel offers two combo XLR-1/4" inputs with XLR thru/outputs and dedicated level controls. A USB port allows for system upgrades and preset configuration and backups. The Yamaha DXS18XLF ships with a standard IEC power cord. Box Dimensions (LxWxH) 33.0 x 31.0 x 26.25"